When people say poetry is too “flowery” for their taste, they probably don’t realize that they’ve just spoken like a poet themselves! That’s because the word flowery is just the kind of word a poet would choose: one that creates and image by appealing to the senses. In these cases, flowery describes the common misconception that all poetry uses delicate words and expressions and is concerned only with what is beautiful in life. What good poets try to achieve is language that brings as much impact as possible into every word and phrase. Sensory language, bringing all five senses into use, is a very effective technique. 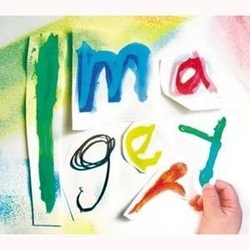 Imagery: The representation in language of sense experience: What can be seen, heard, touched, tasted, smelled, as well as what can be felt internally. Images appeal to the senses of the reader, help re-create the experience being communicated, and suggest the emotional response appropriate to the experience. • After reading this, the reader has experienced brief appeals to touch, smell, sound, sight, taste. 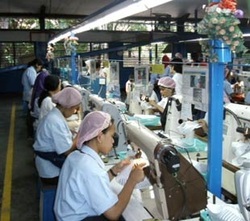 Take Laureen Mar's poem, "My Mother, Who Came From China, Where She Never Saw Snow"
– Which is written in somber praise of the poet’s immigrant mother’s hard life in a factory. By so carefully choosing and including words and phrases with powerful sensory appeal – unpleasant and painful as they are – the poet achieves her purpose of making us imagine and appreciate the “frightening” reality of twenty-four years of her mother’s life. "My Mother, Who Came From China, Where She Never Saw Snow"
but he says "three for a peso "
and more lovers to be. • The evening walk in the plaza, a park like area in the center of town, is an important custom on some countries, Spain and Mexico, for example. • The combination of visual and olfactory imagery makes an effective beginning. • There is even a gait to the rhythm that suggests a strolling motion. • Note that each stanza presents, briefly and clearly, an incident in a sequence of events. • The last stanza returns to just about the same statement and rhythmic stroll of the first stanza. • Question: What is different in the last stanza? “In the Plaza We Walk” also appeals to the senses, but for a different purpose. – people out for a nighttime stroll. • He does this b evoking sights tastes, and smells of the night, and comparing them to something commonplace. Name some of the things the speaker says she will do when she is an old woman. • How does the author’s use of imagery differ in depicting the speaker now and as an old woman? – The imagery of the speaker’s present life is sober, every-day. – The imagery she uses to describer her future is colorful and fantastic. • What are some examples in the poem of appeals to sight, sound, touch, and taste? • Jenny Joseph ran a pub. – That suggests an independence of spirit. Is the poet likely to be the speaker in this poem? • Would you expect an old woman like Jenny Joseph to make those same declarations in “Warning”? Imagery and Allusion in May Swenson's "Centaur"
down by the old canal. I’d go on my two bare feet. his feet to swift half-moons. of my nickering pony’s head. yet they were shaped like a horse. like the mane of a horse in the wind. my neck arched and I snorted. pawed at the ground and quivered. and swished through the dust again. my mouth squared to the bit. my thighs hugging his ribs. At a walk we drew up at the porch. I tethered him to a paling. and entered the dusky hall. left ghostly toes in the hall. Where have you been? said my mother. and filled me a glass of water. What’s that in your pocket? she said. and stretched my dress awry. and Why is your mouth all green? as we crossed the field, I told her. 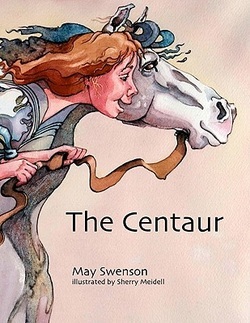 First published in 1955, May Swenson's "The Centaur" remains one of her most popular and most anthologized poems. This is its first appearance as a picture book for children. In images bright and brisk and nearly tangible, the poet re-creates the joy of riding a stick horse through a small-town summer. We find ourselves, with her, straddling "a long limber horse with . . . a few leaves for a tail," and pounding through the lovely dust along the path by the old canal. 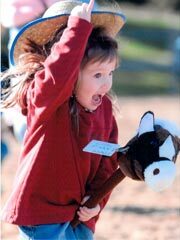 As her shape shifts from child to horse and back, we know exactly what she feels. Sherry Meidell's water-color illustrations perfectly convey the wit and wisdom of May Swenson's poem. These are playful, satisfying images full of vitality and imagination. Meidell handles the joy of poem's fantasy and the joy of its occasional naughtiness with equal success. "Utah State University." Site. Utah State University, n.d. Web. 10 Jan. 2013. 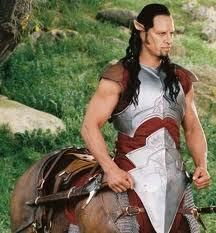 Centaur: In Greek Mythology, a being that had the head, arms, and chest of a human and the body and legs of a horse. What do you think the reason was for Swenson choosing "The Centaur" as the title of the poem? What is the tone of this clip?